The San Diego team launched in 2011 the third Sony party developer support site “sonydeveloper.com” as a local initiative – Klaus personally acquired the initial domain name to accelerate the deployment at the time. The purpose was to begin a dialog and attract developers to create added value to Sony products. The site supported a San Diego proprietary SDK that was intended to run on some TV platforms, information about development of Yahoo widgets and the developer support for the Dash device. Eventually the site became http://developer.sony.com and integrated with Sony Mobile’s third-party development portal. The site is still operated in parts based on the original infrastructure. 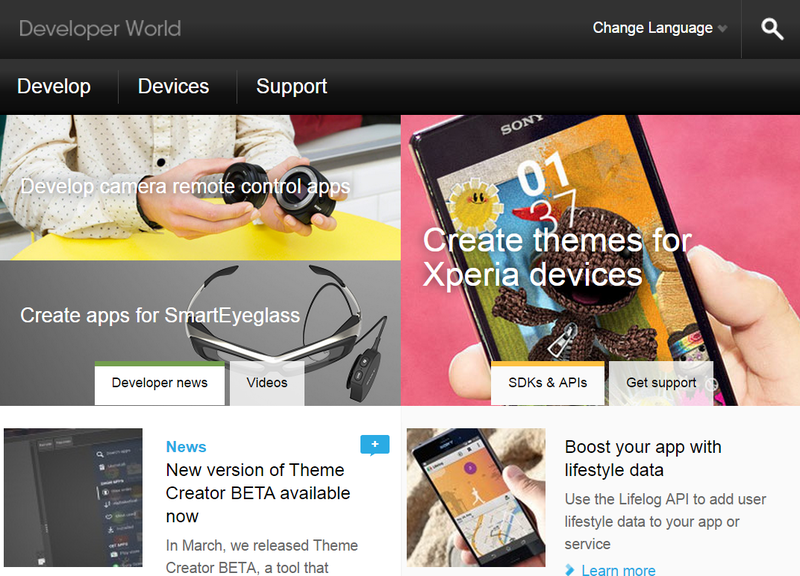 It is renamed “Developer World” and now the main destination for all Sony developer relations (other than PlayStation).